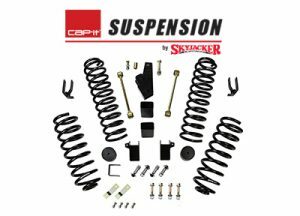 Franchisor of the Cap-it® Genuine Truckware™ chain of stores, announces they have partnered with Skyjacker Suspensions® to produce an exclusive line of co-branded suspension systems. Scheduled for release in July of 2016, the new product will compliment Cap-it’s ever expanding line up of Cap-it branded products. Skyjacker Suspensions, an American company based in West Monroe, LA, ranks amongst the biggest names in suspension. Throughout Skyjacker’s over 35-year history, they have never backed down from their dedication and pure passion of off-roading. Skyjacker’s philosophy has always been to “Provide the best designed, advanced engineered, and most innovative suspension that the 4×4 industry has ever seen and used. We engineered the definition of what a quality suspension should be: a suspension system that works in form and function to the highest level of achievement possible with the highest quality of materials and resources available”. Cap-it will offer an entry level 4” suspension system (lift kit) for the 07-16 Jeep JK 4 door throughout its 27 stores across Canada in July 2016. The lift kit features front and rear coil springs designed to give a full 4”, rear extended sway bar links with urethane bushings, 2” bump stop extensions, brake line extension brackets along with drop brackets to retain the use of the factory shocks at a starting price of $499* (Canadian funds, installation extra). An optional track bar will be offered to properly center the front axle and reduce bump steer. 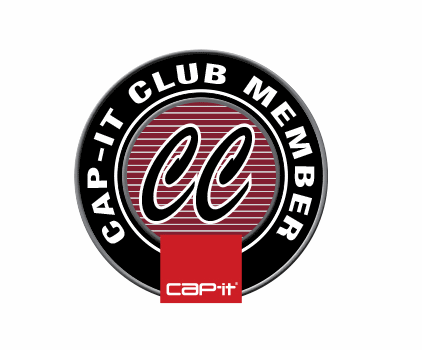 Since 1990, Cap-it Genuine Truckware has established itself as an upscale retailer of quality truck accessories and recreational adventure products. Because Life’s an Adventure, our 27 stores across Canada from Vancouver Island to Newfoundland provide our customers lifestyle solutions for their vehicles for work and recreation.